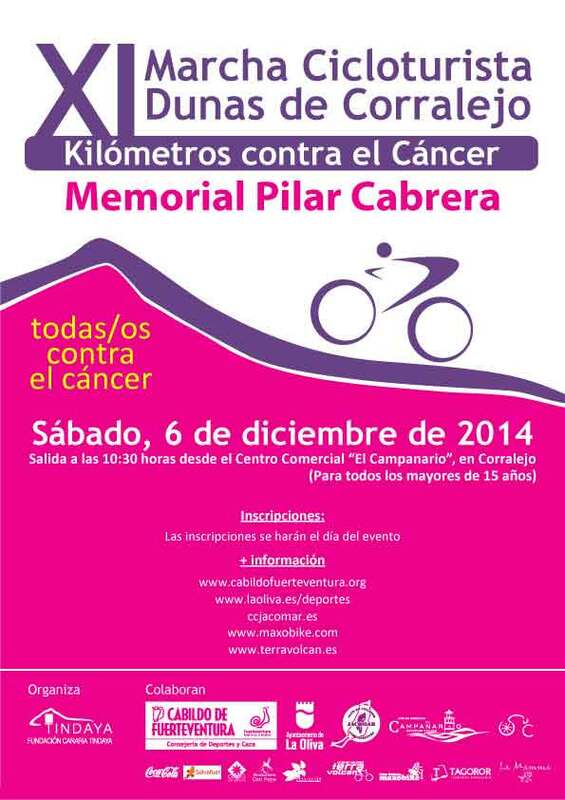 On Saturday December 6th, the eleventh Cycle-tourism event, Corralejo Dunes, Miles against Cancer, will take place in Corralejo, in memory of Pilar Cabrera González. This is a non-competitive charity event, with participants going in pack over 47 kms around almost the entire municipality of La Oliva, in support of cancer victims. When riding in pack, no cyclist can overtake the organization that makes up the lead nor exceed the pace of the group; they can’t stay behind the closure group either. Places are limited to 200 riders, in order of registration, and the fee is 10 €, which will go entirely to associations fighting this disease. The exit will be on December 6th, at 10: 30h., From the CC El Campanario, where this very day registration and delivery of numbers will take place from 8:30 am to 10h. As a prerequisite, participants must be over 15, or age 15 in 2014; they must know how to ride a bike to perfection and have taken part in over-50km cycle routes; they must wear helmet, a spare tyre and hand pump, gloves, chain whip and a puncture repair kit. They should wear Sunglasses, “camelbag” with water, sunscreen, cap and energy bars, although there will be two provision points, one with fruit and soft drinks and another one with just drinks. To ensure the proper development of the event it’s necessary to pay attention to the organization, meet the standards of the Road Safety Act and its regulations, avoid untimely overtaking, respect the safety distances, not to push …, remembering at all time this is not a race. And as an important point, respect for the environment and nature is called, it being completely forbidden to throw litter or food wrappers, thereby just the trace of the bike wheel remaining on the way. 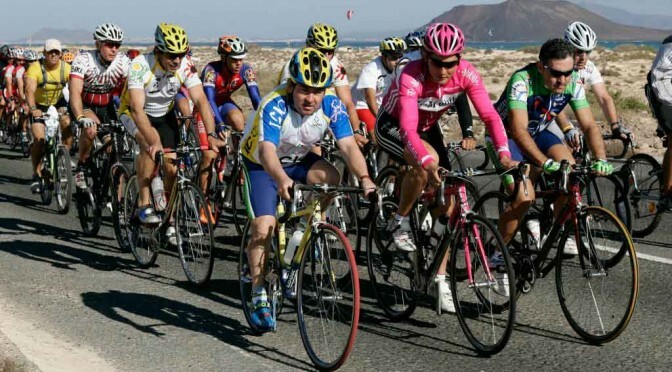 All participants must submit the registration form, which you can download from this link; photocopy of DNI and the federal license or the Canarian Cycling Federation credit insurance of accidents. Under age participants must also submit a parental consent, mother’s, guardian’s or a legal tutor’s, which you can download from the link below.